Millions of stray dogs live on the streets of India. Most are direct descendants of their feral canine ancestors, a "breed" much older than any AKC (American Kennel Club) breed. With the recent increase in popularity among Indians of full breed dogs, more and more street dogs are abandoned pets or have bred with pet breeds. 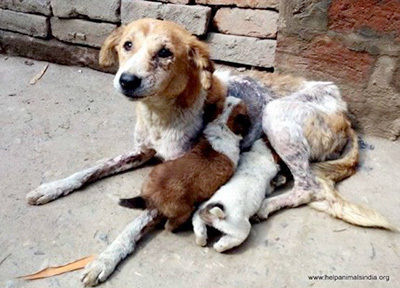 Although they are widely feared because some carry rabies, for the most part India's street dogs are not aggressive and will only bite if provoked. Indeed, many are fearful of humans and sadly, the dogs' fears are well founded. India's street dog population is closely associated with municipal sanitation practices – or neglect thereof. Because these homeless dogs often survive by scavenging rubbish, exposed garbage means more healthy dogs – and more puppies. Ironically, this actually makes the dogs a boon to public sanitation. By scavenging garbage, they reduce perishable waste that could otherwise be a source of contamination for people. And their presence around garbage keeps away other potentially dangerous scavengers, such as rats and mice. 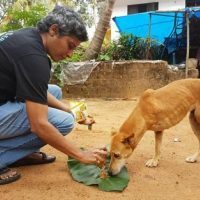 Unfortunately, fear and ignorance have led many Indian citizens and officials to see street dogs as nothing but a nuisance and to seek eradication using inhumane methods such as poisoning and beating. But for every dog killed, another typically comes in to take over that dog's territory. 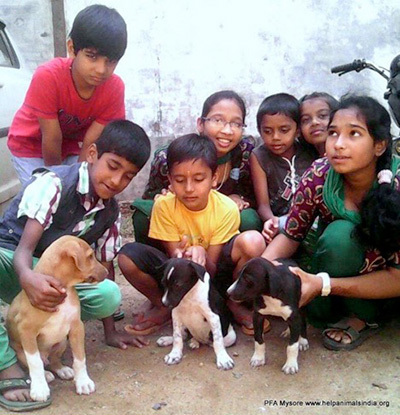 The only scientific method to humanely reduce street dog populations is mass spay and neuters, commonly known as animal birth control (ABC). 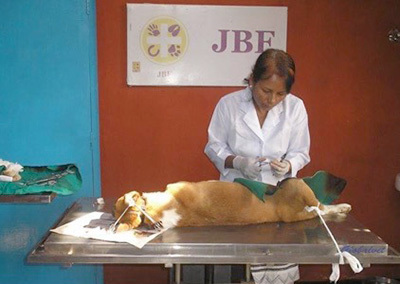 Through ABC programs, all the dogs within a community or region are sterilized and then released back to their territories. The result: dog breeding stops and their population declines. Help Animals India funds ABC programs across India and have funded the sterilization of hundreds of thousands of street dogs from partner organizations including, Varanasi for Animals, Karuna Society for Animals and Nature, HOPE and Animal Trust, Just Be Friendly, Sarnath Animal Welfare, Raahat, CUPA, and more. Developing new ABC operations isn't an easy task. But we're determined to keep expanding these vital programs across the country. 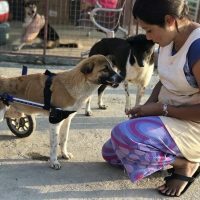 Just recently, funding by Help Animals India enabled the Sarvodaya vets to conduct the first ever ABC project in Sarnath, the birthplace of the Buddha. Six months into the program, we witnessed firsthand the transformation in community attitudes as people began caring for the very street dogs they had previously dreaded. Winning community support for ABC projects where none have existed before can be an uphill battle. To increase the odds of success, we always make sure our ABC projects are managed by qualified people who are up to the challenge. To give an example of the resistance they sometimes encounter, Buddhists typically regard sterilization as tantamount to taking life. As a result, many Buddhist communities in India are very resistant to ABC programs. But thanks to skillful community education by our ABC project coordinators, attitudes are changing and ABC is gaining ground within India's Buddhist enclaves, making their communities safer for dogs – and people, because anti-rabies vaccination is also part of every ABC program. 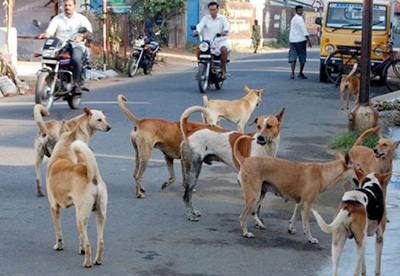 Rabies is a genuine problem when it comes to India's street dogs. Although the numbers are widely debated, the World Health Organization estimates that rabies kills about 20,000 people a year in India. That's 36 percent of rabies deaths worldwide. Clearly, controlling rabies is key to winning hearts and minds, not to mention saving lives. 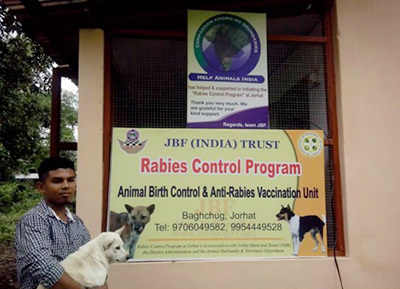 The publicly very visible anti-rabies vaccination (ARV) component of our ABC programs helps build community support. When people have less reason to be fearful of dogs, they're less likely to want to destroy them. People and street dogs can get along. With the generous help of our donors, ABC and ARV programs are slowly making that dream come true where our partners work in India.